Take your communication from superficial to super-intimate in order to build a healthy, lasting relationship. If a woman is in a relationship with a man, she wants to talk with him. She actually needs to talk with him. She believes-and she is correct-that if they can talk on a deeper level regularly, they will be much closer and much happier. 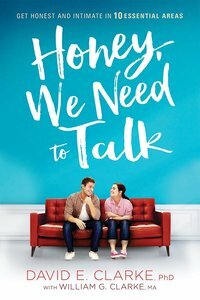 About "Honey, We Need to Talk"